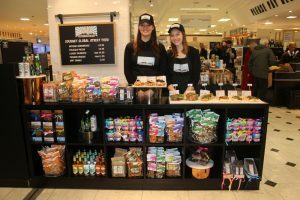 Urban Food Fest has opened it’s very own deli store in none other than Selfridges Food Hall! We have brought our delicious global street food cuisine across London from our infamous Shoreditch pop-up to the prestigious central London food hall. 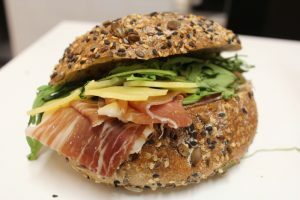 Our deli store offers a gourmet collection of freshly made hot and cold sandwiches, focaccia pizza with exquisite flavours including fig, blue cheese and truffle oil, and all to be topped off with our indulgent filled Belgium waffle sandwiches. We have a hand-picked selection of fantastic artisan snacks from our friends at Brown Bag Crisps, Diana’s Chocolates and Nibnibs and our brilliantly refreshing drinks from Vit Hit, Green Lady Tea, Thor and Hildon. Our offerings use only the best quality ingredients, presented beautifully by our fantastic Urban Food Fest chefs. 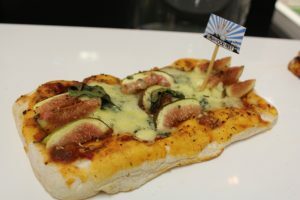 Head down to the food hall on your lunch break to find a piping hot pizza slice, or delicious New York inspired sandwich. 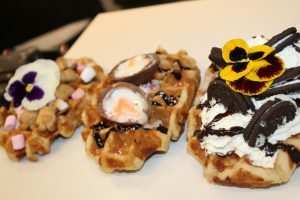 Treat yourself to a cheeky mid-afternoon waffle break, topped with melted marshmallows and chocolate buttons. 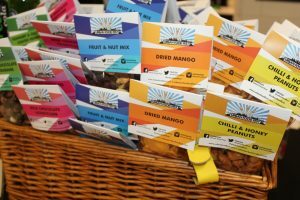 For those of you needing something to grab-and-go we have an array of scrummy Urban Food Fest snacks, including tasty nuts and chocolate covered honeycomb. Or for a little something special on your way home, come and find us in Selfridges and choose from our beautiful selection of Diana’s chocolate. For those of you who haven’t found us already, we’re in the Selfridges Food Hall, Orchards Street entrance and here 7 days a week, Monday – Saturday 9:30am – 9:00pm, Sunday 11:30am – 6pm. We so look forward to seeing you and of course there’s always a tasty sample waiting for you! Check us out and follow the excitement @ selfridgesfood!